Do you still need Social Media Help? 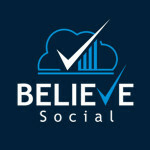 Email sales@Believesocial.com and we can help get you started without signing up for anything. No Obligation! Risk Free Social Media Management Specials: We manage up to 5 profiles for one flat price! Visit the link for more information and to start your service for $0 Today! We can still help you grow your social profiles. Please see our current specials and contact information at the top of the page. If you run a professional business that depends on attracting and retaining local clients, there is no doubt that you need to take advantage of social media marketing. Whether you are a doctor, attorney, real estate agent, insurance provider, or skilled tradesman, social media can help build your local brand and reinforce your standing in the community. If you are like most professionals, you focus your time and resources on your core business, and delegate other tasks to support staff or outside vendors. You’ve probably heard of Facebook, Twitter, and Google Plus. You may even have social media profiles and make some posts from time to time. Perhaps you have an intern or a “marketing guy” who setup your website and provides some basic social media posting services. If you are reading this, you’ve probably at least dabbled in establishing a social media presence for your company. You are “on social media.” Now what? This may sound easier than it is. Simply creating social media posts is not enough to be effective. What happens after you post is important. This depends on not only what you post but also HOW. The same tweet or Facebook post that gets ZERO response can often be re-written (or written well the first time) and get a completely different response, by changing factors such as: wording, time of day, picture(s) included, persons/brands mentioned. In addition, you should be posting at least 2 kinds of content: 1. Industry and/or local content that you create. This content could be written in-house, hired as part of a broader “content marketing” strategy or can be provided in a comprehensive social media marketing package. 2. Quality content from others in your industry or community. Do you know how to create and find this content? Every community and profession has top social media “influencers” who are active on social media. Sharing useful content with these “influencers” can boost your social media reach substantially. Here’s some brutal honesty: If you are afraid to share, social media might not be for you. At the very least, you will not receive all of the benefits inherent to social media marketing. Social media is a two-way street, a conversation. It’s the modern way to have conversations and build relationships. You don’t build relationships (or keep them) if the conversation is always one-sided. You not only have to post content, but you need to follow up. Answer questions. Carry on conversations. In addition, no one wants to hear you “talk” about yourself all the time. There’s not much point “talking” to the same people day after day. You need to grow your social networks. How do you do that? You do it organically, by building relationships with people that are important to your business. You post and share content that your audience will find useful. Then THEY will want to share it with their friends (who might want to be your friends, too). You do this by commenting, following, retweeting, +1-ing, favoriting, quoting, sharing and rewriting content. You follow and interact with leaders in your industry and geographically relevant news-makers and taste-makers. Plus, you respond to inquiries from clients and potential clients. Build relationships and referrals. This sounds like a lot of work. Doesn’t it? Based on our experience and observation, we find that very few interns or general “marketing guys” really “get” social media. It’s one thing to build a web site or perform general office duties. Keeping up with social media and actually delivering quality work requires a completely different skill set. Even when it comes to professional “social media managers,” most will not provide anything beyond a basic posting service, and they charge a pretty penny to do so. Many will sell you on the presumption that you “need” social media, and that they will “do” social media for a certain amount of money. They might post some funny internet memes or gain some new followers, but few truly focus on engaging the “right” audience for your services. We BELIEVE in social media and practice what we preach. Social media works when you share and build relationships. Building relationships builds your brand and your business. If you want to run your own social media marketing, we are happy to provide you any useful tips or tools we can think of. If you think your time is better spent on other tasks, and you want a professional social media firm to help you build your brand- Please let us know. 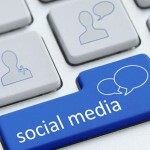 Don’t waste your time and money on general marketing firms or office staff who perform social media as an afterthought. Hire a firm that is constantly learning about social media developments AND performing the work on the field for multiple clients. 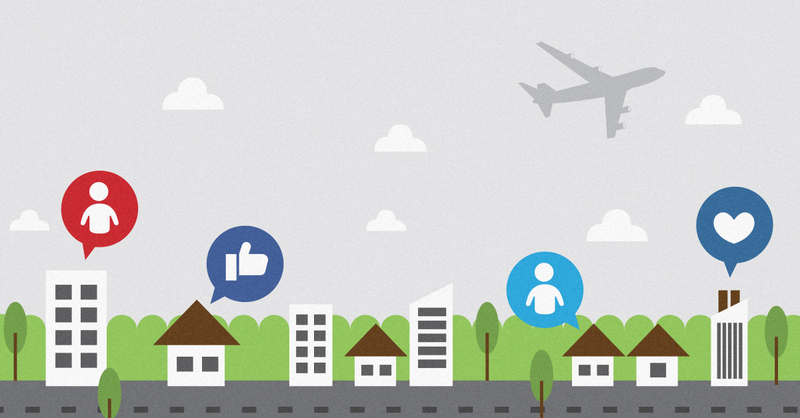 We build relationships and grow brands based on the Two-Part social engagement strategy outlined in this article. For more ways that Professional Social Media Management could help your business, Please see our previous post: 5 Ways a Professional Social Media Management Service Can Help Your Business, wherein we describe the reasons you may seek out a social media agency and what services you need to make sure they provide. Regular posting on Twitter, Facebook, and Google Plus & Profile engagement and growth as described in this article for only $219/mo for our basic package. This is a “Local Professionals” social media special. Our management packages typically start at $599/mo. Carol Lawrence on So You Want Your Business to Rank in Google, but It’s Not on Google Plus?